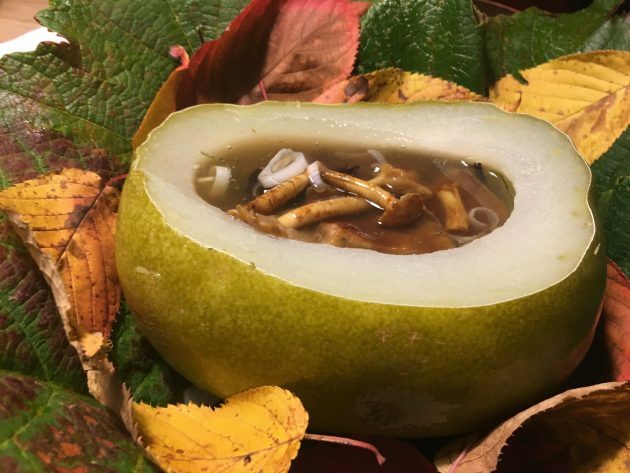 Last autumn, Lianca Van Der Merwe was invited to participate in a “Fooding Tour” of Tono, Iwate Prefecture conducted by Tokyo-based Cuisine Press (r-tsushin.com) and “Or Waste?” (or-waste.com), an NPO aimed at combatting food waste. 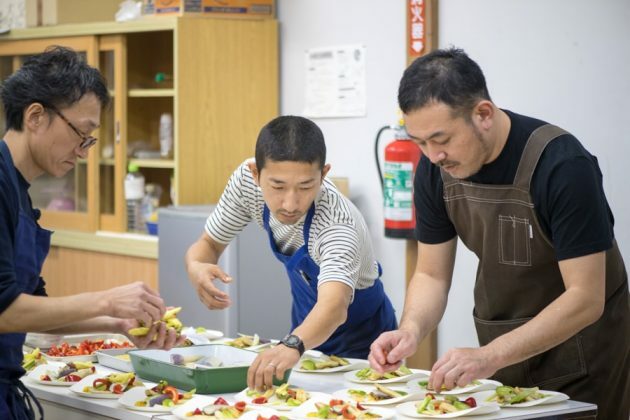 Noting that “much of Tohoku is further away from Fukushima than Tokyo,” Cuisine Press started the tours 2 years ago with the aim of promoting tourism in rural or disaster-stricken areas of Japan. 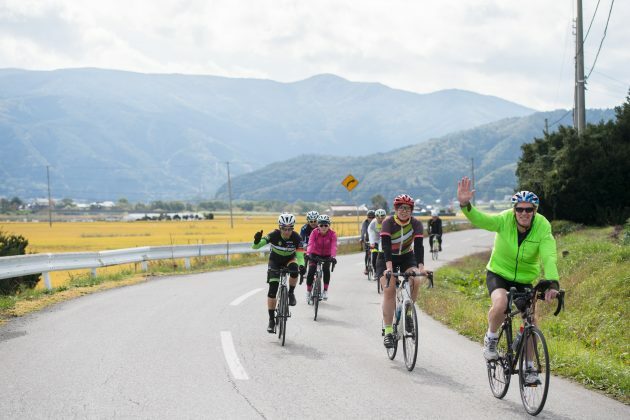 After completing the one-day “Fooding” tour, Van Der Merwe opted to spend a total of three days touring Iwate Prefecture, equipped with only her well-used touring bike and a 10-kg backpack. Located 250 km north of Fukushima and a modest 50-60 km bike ride away from the coastal towns of Kesennuma, Rikuzentakata and Kamaishi, nothing about landlocked Tono hinted at the turmoil and trouble of the 2011 disaster that struck its neighbouring regions. The landscape caught me by surprise and it was difficult to resist the urge to skip and twirl through the rice fields that were flecked with autumn colours. The only thing that stopped me was the fear of misplacing my bike amongst the tall grass, so I opted instead for taking big gulps of fresh country air. It permeated my every fiber—I felt revitalised and ready to cycle forever! The residents of Tono, who embodied the spaciousness of the landscape, greeted me with open arms and welcoming gestures. My first reaction was to smile, and my smile did not dissipate all weekend. 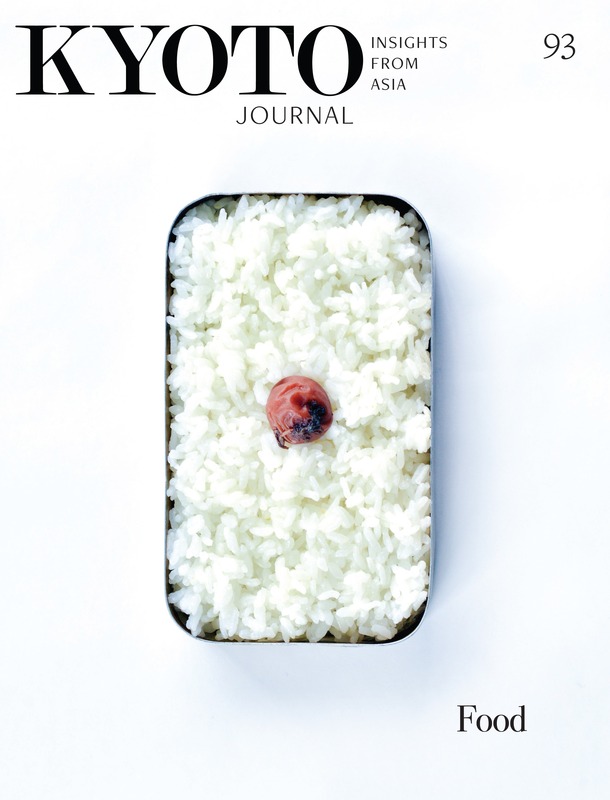 Some might grimace and others may smile when the tangy flavour hits, but regardless of personal preferences, fermented food is making a culinary comeback. The healthy probiotics that grow when things turn sour are essential for our gut and even though the art was somewhat forgotten in the West, fermentation is the life that courses through the veins of Tono. The area is already famous for growing some of Japan’s finest hops (mostly sold to Kirin Beer, but there are some fine microbrews), and it is also one of the few places where the production and sale of Doburoku, a once outlawed alcoholic beverage, is permitted. Doburoku is a type of cloudy unfiltered sake that still contains the sake lees; it bubbles with more lively vigour than champagne. 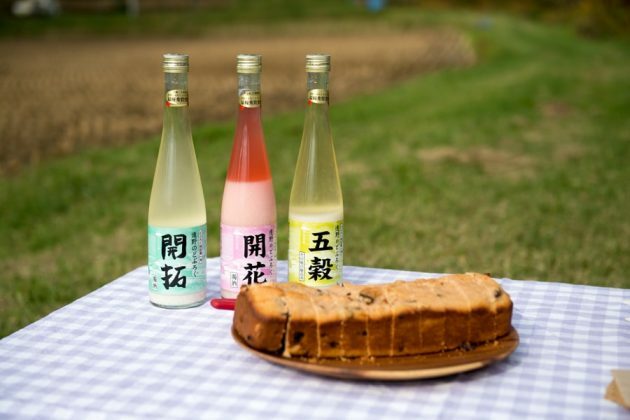 The local brewer, Egawa Sachio, who was instrumental in overturning the government’s ban on Doburoku brewing, has produced a flavorful range of Doburoku, each fermented from a different strain of special Tono yeast. Yo, the restaurant where I dined the night before the ride, is still a relatively unsung gastronomical gem. One could easily stroll past this unassuming restaurant, and not realize that the meal of your life awaits inside. Japanese chefs possess a talent for infusing dishes with flavor without relying on butter, sugar or cream. 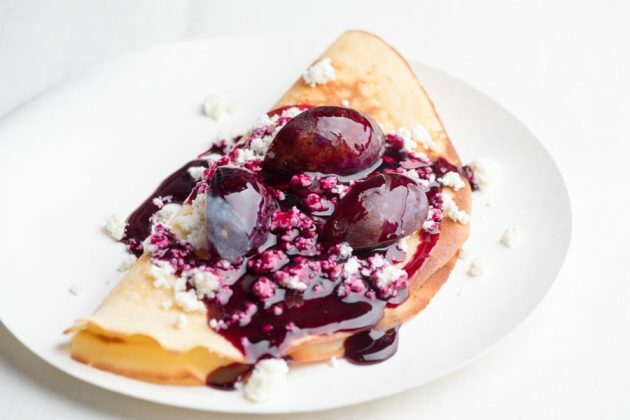 At Yo, chef Yotaro mingles mighty fermented microbes with traditional Japanese staples, and taste explosions ensue… Hurry there now before the waiting list is long and the prices are exorbitant! 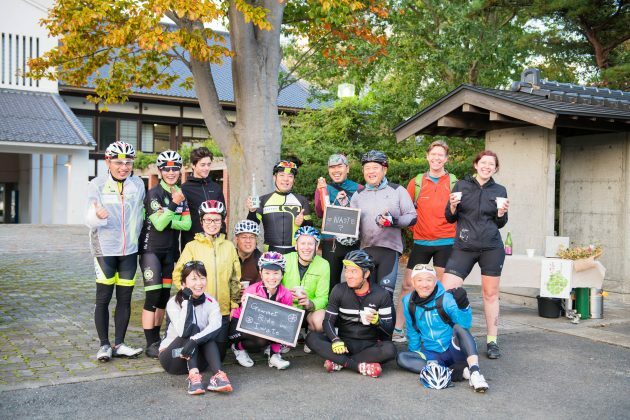 At around 11:00 the next morning 20 well-kitted cyclists gathered in front of Tono Station. The starting hour allowed just enough time for Tokyo-ites to board the first Shinkansen, take their bikes out of their bike-bags, and assemble them. BYO bike tours in Japan are a sight to behold—a fashion show atop bedazzled steeds. Japanese people take great pride in their hobbies and spend endless hours and cash crafting the perfect ensemble of functional and cool. Colorful nuts and bolts were paired with details on saddle bags and helmets matched by bar type. At 11:20 we departed, and the cycle tour did not disappoint. I often get bored or frustrated on group rides but the pace was brisk, the elevation modest and the scenery superb. You don’t have to be a pro or even a semi-pro athlete to join, but stay home if you don’t enjoy your heart racing, as you need to keep up with a contingent of avid cyclists. We skipped the overcrowded spots and tourist attractions you can read about online and visited the farms and homesteads of real Tono residents. At 10-15km intervals, we stopped to sample local cuisine and refuel. 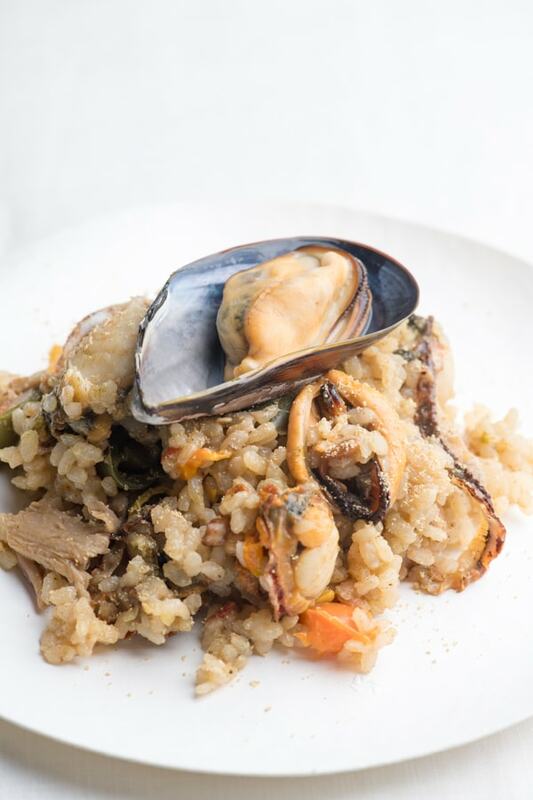 Farm to table fresh rustic fare, with the right balance of umami and nutrition to satiate our weary muscles. I was surprised at how global and well-traveled the residents of Tono were and how they could converse with ease, in English, for most parts of the tour. Many residents had moved from the city and settled into a more serene life. Every resident emphasized how life in Tono is self-sufficient and holistic. While serving us our noon meal of piping hot bowls of hittsumi (flour dumplings and mushroom broth), Noriko Kikuchi of Kikuchi Farm told us about how, after her hops are harvested and processed, she uses the residue to make paper. In Tono, everything is taken into consideration, nothing is wasted and people are passionate about natural farming, nutrition and food. But their community is growing sparser as youths move into the city, abandoning the land and leaving their farming families without successors. Students in their final year at the Ryokuho Agricultural High School served us green smoothies made from hayachine-na, (a dark green brassica resembling spinach), outlined their three-year approach to growing organic food, and shared some of their favorite recipes. 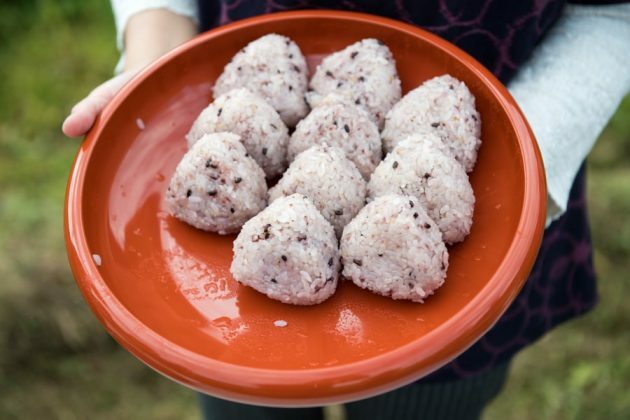 They are working hard at spreading awareness of some of Tono’s regional vegetables, many packed with the nutrition of superfoods, whilst engineering the optimal and most efficient way to cultivate the produce all over Japan. Their passion might be for sustainable farming, but who knows where the allure of life might lead them, and whether they will invest their knowledge and livelihood in Tono. After leaving Tono, I departed on the solo part of my journey, cycling east towards the North Pacific Ocean and the Sanriku coast. The benefit of a bike over a car is that you have access to sections of road closed to traffic. From time to time I had to unclip and maneuver over or under barriers, debris and sinkholes; remnants of the roaring 2011 Tsunami. When I stopped to grab a snack the owner of the neighborhood supply store was all too relieved that I spoke some Japanese. I don’t think they often get foreign visitors to their mountain suburb. Iwate has a few good mapped Strava segments or routes to explore. (Strava is a social networking app for running and cycling enthusiasts). Segments are member-created portions of road or trail where athletes can track their workout via GPS, measure their progress, and compare their efforts against other Strava members. I snagged multiple QOMs (Queen of the Mountain, meaning I was the fastest woman ever to complete that route—men compete for KOMs or King of the Mountain) during my 3-day cycle trip—sometimes touring with my 10 kg pack—riding in a group or pottering along like a carefree butterfly swept up in a whirlwind. On one segment’s leaderboard I reached the All-Time number 6 spot with a time of 21:09. The record time was 7:29. My meagre achievements speak to how uncharted and unexplored beautiful Iwate is. In the late afternoon, I reached the coastal town of Kamaishi. The clock read 14:30 and the next big-ish town was only another 40km away (2-3 hours while bike packing). I decided to continue the trek, but by 16:00 daylight was fast running out so I was forced to think of a Plan B. Desperately, I started calling out to farmers, tending their fields, looking for a minshuku (Japanese inn) to spend the night. To my surprise, one farmer responded in English far superior to my Japanese with an invitation to stay with him. I almost snorted in response, but his assurances of a house filled with people convinced me to investigate. I curiously followed him back to his homestead where several young grandchildren leaped from the genkan (vestibule) to greet me. It turns out the Yokoishi family often hosts foreign exchange students to, what I later learned, was the village of Yoshihama. The farmer who had helped me, Yokoishi-san, the head of the household, had lived in America between 1968-1970 to learn “how to be a cowboy,” as he affectionately put it. This serendipitous encounter resulted in an evening spent drinking sake and paging through albums of photos of a dashing young man riding a horse in his Stetson hat. 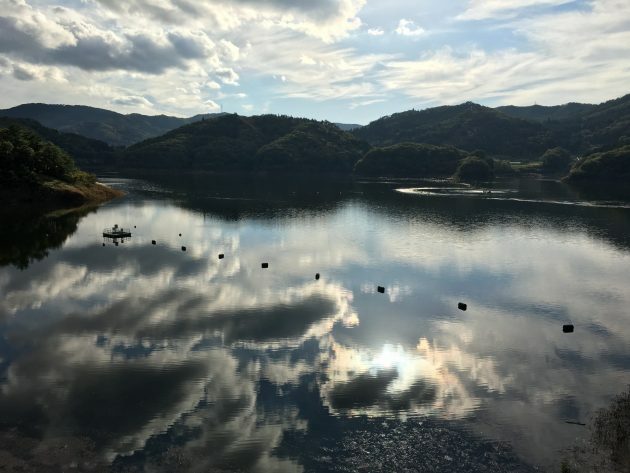 The Japanese countryside, or inaka, is the place where one can truly experience the kindness and hospitality—omotenashi—the Japanese are renowned for. My trip to Iwate Prefecture was a magical opportunity to catch a glimpse of life in one of these communities before they completely disappear from Japan. Lianca Van Der Merwe, from South Africa, has been living in Asia on and off for seven years. She loves the convenience and safety that Japan affords cyclists and takes every opportunity to explore the countryside by herself. Her background spans technology, art and media, but her real passion is fashion design—she is currently working on producing her own line of women’s cycling wear here in Kyoto.